Anna Olsen knows it's time to leave her sister's increasingly crowded house and start a life of her own. 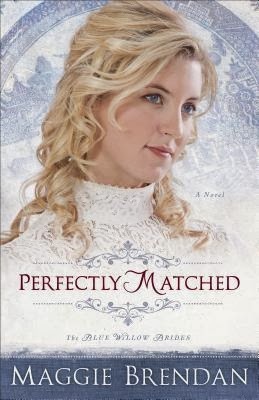 Following her sisters' examples, she becomes a mail-order bride, and after a short correspondence with clock maker and jeweler Edward Parker, she moves to Denver to become his wife. Almost immediately it's painfully apparent that Anna and Edward are very different. Anna is a free spirit who would rather be painting and enjoying the company of friends than cleaning house. Edward is a consummate perfectionist who, on their wedding day, hands Anna a list of chores that need to be done around the house daily. Can this mismatched couple see past their differences to a harmonious future? Or will their disparate passions create obstacles neither is willing to surmount? I usually enjoy mail-order bride stories, but this one didn't keep my interest. The pacing was slow, bogged down by boring details. The plot was not compelling and the characters seemed two dimensional.